Sergio Aguero opened the scoring before Roberto Firmino headed home to equalise, Leroy Sane then won the game in the closing stages to seal what could be a famous victory. Liverpool still have a four point lead over Manchester City at the top of the Premier League, but the gap would’ve stood at nine points if they had won at the Etihad. 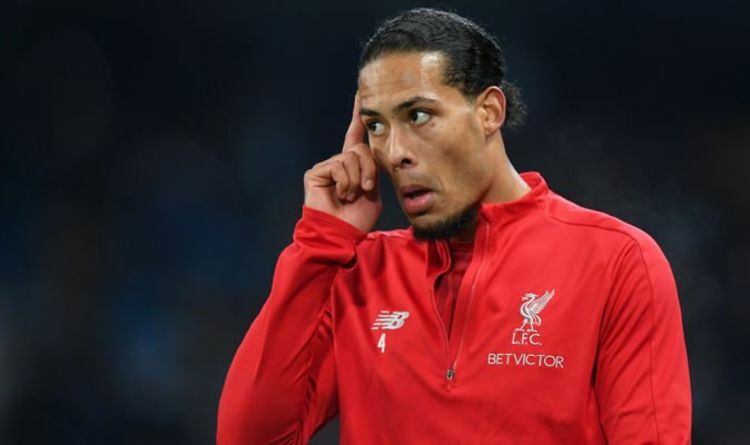 Van Dijk has been hailed at the best defender in the league this season, but couldn’t prevent his side from conceding two goals for the first time this season. And he said they would keep going and bounce back from the defeat as they pursue a first league title since 1990. ”We knew it was going to be a very tough season and there will be ups and downs and Thursday was obviously a down,” Van Dijk told Sky Sports. The highly anticipated clash was played with a frantic tempo, with both sides desperate to take the bragging rights into the second half of the title race. The match was City’s third in eight days and Liverpool’s fourth game in two weeks, leaving both sets of players at risk of fatigue. “It was an intense game for both teams,” Van Dijk added. Despite the failure to extend their already impressive unbeaten record, the Netherland’s captain thinks too much has been made of the narrow defeat. He said: ”We are disappointed we lost but there is no reason for panic. “For us it was just another important Premier League game. Unfortunately we lost and couldn’t get a result. Liverpool take on Wolves in the FA Cup on Monday before a trip to Brighton in their next Premier League clash. The Seagulls will be keen to add to Liverpool’s woes and have already beaten Manchester United at home this season. Man City will look to close the gap at the top of the table even further – Wolves, Huddersfield and Newcastle are their next three opponents in the league.